Hand finished in a glittering Silver Granello, the Eternity Wall Sconce reflects strong transitional designs. 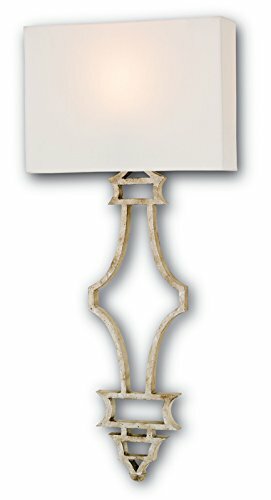 A creamy Off White Shantung shade is included with this sensible and sophisticated wall sconce. Shade Included: TRUE. If you have any questions about this product by Currey and Company, contact us by completing and submitting the form below. If you are looking for a specif part number, please include it with your message.